You wouldn’t go to the grocery store without making a list. You wouldn’t make a playlist without compiling your favorite songs for the occasion. Oh wait, you would. Because that’s life and it’s too hectic to line item things out one by one when you can just fly by the seat of the store’s weekly ad or pandora. But when it comes to your job you should probably take things a bit more seriously. And when your job plays a major role in the experience people have when spending their hard earned dollar on a vacation rental in your local destinations’ paradise, the details are essential. This is a short but sweet comprehensive guide to the importance of creating and adhering to a cleaning checklist. In order to deliver the optimum results you need to know the appeal of the property. What is most important to the guests who will be staying there? Is it the small details that will make them feel at home and accommodated in a big city? Think about leaving cookies from the local bakery! Or is it the connections to local rental companies that will enhance a waterside destination? Like extending the locals only discount at the marine rentals facility. Knowing your guests even though you don’t know them personally can make their experience all the more pleasant. Try your best to make their experience a positive one by doing a thorough and thoughtful job. Going the extra mile can go a long way and in this business job performance can directly result in more money making opportunities. Make a list of all the cleaning tasks that need to be completed in each unit. Start with each room and work your way all the way through. Also include what to do upon arrival and departure (check lockbox, thermostat, etc.). Be specific. You want what you create to be a comprehensive turnkey guide that can be used by anyone cleaning that particular property. Don’t assume anything is self explanatory! Make sure to mention any specifics that apply to your property that other cleaners may overlook. If you know your property has a 3 day minimum stay make sure the guests are provided with enough paper towels, toilet paper, toiletries, trash bags etc. You could even go so far as to create a simple algorithm to know how many of each to leave. Two rolls of toilet paper, two trash bags and one roll of paper towels per 2 guests for 3 days..for example. 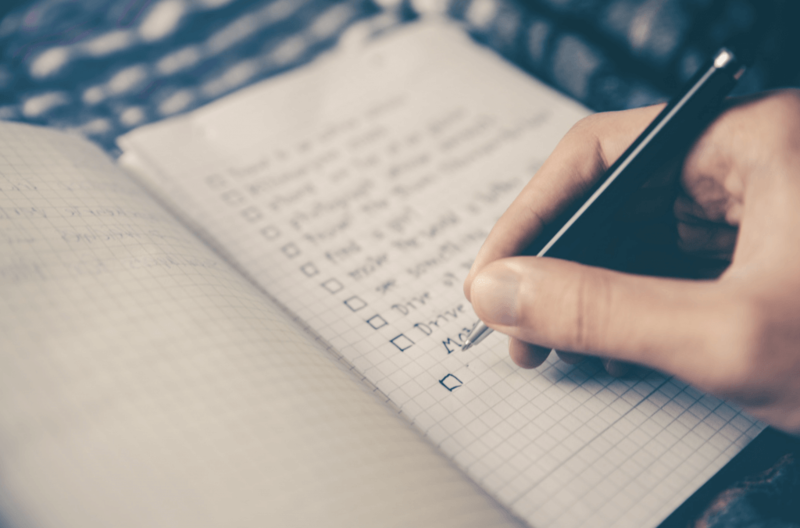 Once you believe you have included everything ask a fellow cleaner or property manager to look over your list and add anything you may have missed.